Getting the right home loan can make all the difference when you decide to build a new home. A home building loan carries a slightly higher risk than a typical mortgage loan, but it does give you the opportunity to enjoy a home with high energy efficiency, minimal repair costs, and the ability to get many customized features. That’s why we’re offering you these tips for obtaining home construction loans. 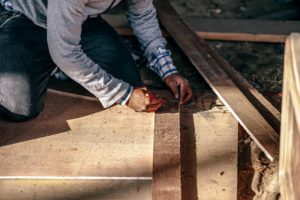 What Is the First Step to Getting a Construction Loan? Get Pre-Approved: Contact a reputable lender and get a pre-approval for the type of loan you can afford. If your current income and credit history only permit you to get a $140,000 loan, you shouldn’t start discussing a $200,000 home with your builder. Build Your Wish List: Create a list of desirable features you want in your new home. This is the time to stretch your imagination. Write out the features you want, including the type of flooring, kitchen, ceiling, lighting, bathrooms, bedrooms, patio, garden, and pathways. Get a Good Builder: Contact a reputable builder like SDL Custom Homes and start discussing your wish list, the type of building plan, and the customizations that will fulfill your dream within your budget. Here’s a breakdown of the different types of construction loans, so you know your options. When you select a builder’s standard design with a few customizations, you can negotiate an agreement for an end loan. With an end loan, you can pay the builder after they’ve completed the construction. But this only works when your lender can provide adequate proof that they’ll pay the builder promptly. This allows you to get a normal mortgage loan to pay your builder. So, you must reach an agreement with your lender before you approach your builder. When you want a new home with a custom design, you may need to get a construction-perm home loan. This means your loan will be split into two parts. First, you’ll take a loan to pay your builder in installments during construction. When the home is completed, you’ll turn the loan into a mortgage. Sometimes, lenders call this loan a “story loan.” It’s based on a story you tell, not on a real house. What Do You Need to Apply for a Construction-Perm Loan? What Are the Benefits of a Construction-Perm Loan? Fixed Interest Rate: The interest rate on the temporary construction loan is a fixed rate, and it could be locked in for as long as nine months. Lower Interest: You only pay interest on the money used for construction, rather than the entire loan. Lower Closing Costs: You only pay closing costs once, and you can enjoy a rebate when you refinance the initial loan. Give us a call at (717) 258-1459 now to get details on how you can get financing to build your dream home at competitive rates. We construct beautiful homes while working with reputable lenders who provide home construction loans with terms and rates that favor our clients.